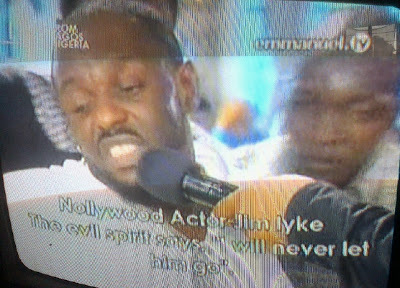 Alleged fake Nigerian Pastor TB Joshua has confirmed the deliverance of Nollywood actor Jim Iyke at his church. As earlier reported, the Nollywood bad boy was a guest at TB Joshua’s SCOAN church on Sunday and a deliverance prayer for held for him. According to the video, the actor who was possessed by an evil spirit struggled as they prayed for him. During the deliverance session, an evil spirit spoke through Jim Iyke that he’s the one behind his stubbornness and that he prevented the actor from getting married all these years. RECEIVES DELIVERANCE AT THE SCOAN! was only God’s grace that had kept him. He was delivered in the name of Jesus Christ and immediately knelt in God’s presence, appreciating His Creator for his miraculous deliverance. Like previous cases of exorcism being carried out at Prophet TB Joshua’s church, critics didn’t leave any stone unturned in Jim Iyke’s case. They claim the actor played his usual movie role to impress followers of the controversial prophet. “Its Beautiful that’s d least I can say. Nothing else truly matters. Veteran Nollywood actress Camilla Mberekpe who confessed of being a witch at TB Joshua’s church in April accused him of hypnotizing her. 2shotz who couldn’t hold what he saw instantly took to Instagram to share the above photo with fans. 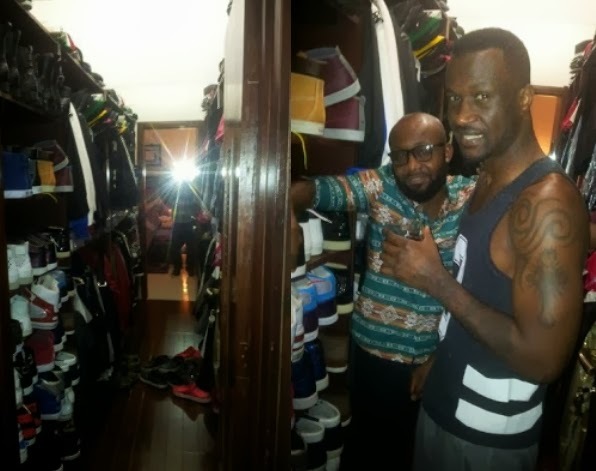 So what is Peter Okoye doing with all these shoes abi e dey sell shoes?. Talented Nigerian movie producer Kunle Afolayan has dropped a bombshell comment on the heart of his fans worldwide. The ace filmmaker took to his Facebook page few days ago to tell fans his hectic work schedule might eventually end his life. The busy movie star who has been working non-stop to meet his movie premiere deadline of October 1st, took to Facebook to share his darkest thoughts. ‘My Obsession with filmmaking makes me think I may not live long’. Of what use is killing yourself when you know you have just one life to live? My candid opinion: Take life easy so as to enjoy the works of your hand. Create enough time to take proper care of yourself. Lack of rest can result in serious and life threatening health problem like high blood pressure and even stroke. It may even cause sudden heart attack. Guys please tell Kunle Afolayan what you think. 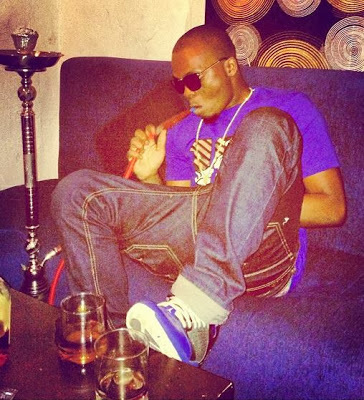 Naija rapper Olamide alias Badoo has been caught smoking Shisha for the second time this month. The eccentric rapper recently returned from the United States where he attended the Nigerian Entertainment awards and walked away with two trophies. He is currently working towards his 3rd album. 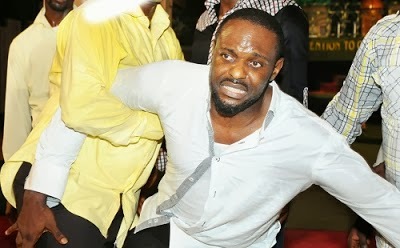 As earlier stated in our previous update,Nollywood actress Jim Iyke allegedly got delivered from a demonic spirit that possessed him at TB Joshua‘s SCOAN church today. The video of Jim Iyke’s deliverance has surfaced. As at the time of this report, the actor is yet to update his Twitter profile. Months after veteran Nollywood actress Camilla Mberekpe allegedly received her deliverance at controversial Prophet TB Joshua’s Synagogue church in Lagos, another Nollywood star has been delivered from an evil spirit. The man in question is Nollywood bad boy Jim Iyke. 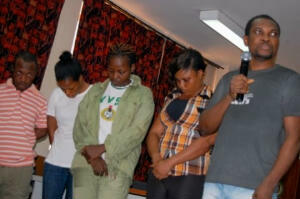 He paid a visit to TB Joshua’s church today and a special deliverance program was conducted for him. According to the screen caption on Emmanuel’s TV, the spirit that possessed Jim Iyke vowed to never let him go nor allow him to marry anyone. The pastor conducting the deliverance claims the spirit that possessed Jim Iyke prevented him from getting married all these years. In the next few hours, we expect to hear from Jim Iyke himself. In April after Camilla Mberekpe’s deliverance, the actress claims she was hypnotized at TB Joshua’s church. 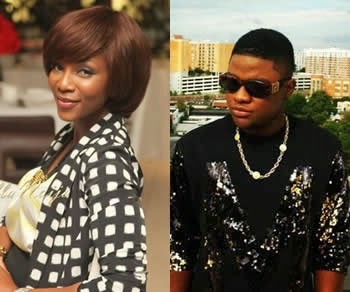 Few hours ago, a story that started from a joke website alleged that Nollywood actress Genevieve Nnaji threatened to slap EME singer Skales for being rude. The false story which went viral eventually reached Genevieve Nnaji’s hearing. On Saturday afternoon, the star actress took to Twitter to debunk the story saying it’s a lie. Fear not Skales aunty Genny no go slap you. She is just too mature for that. Check out the excitement on the face of 2face Idibia’s wife,Nollywood actress Annie Macaulay. The beautiful lady pictured above is in her second trimester. 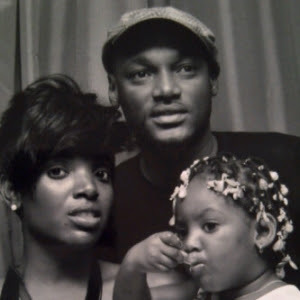 According to sources, in four months time, Annie Idibia will deliver her second baby for Tuface making 2face’s 7th child. Isabella must be really happy now knowing in few months time,she is going to be a big sister. A group consisting of UNILAG students that started the mobilization of a protest via social media network few days ago has been banned from protesting. 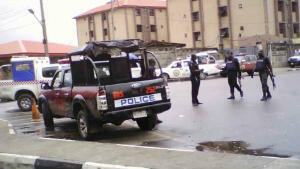 About 10 Police vans have been stationed at UNILAG gate to prevent the planned ASUU strike from taking place. 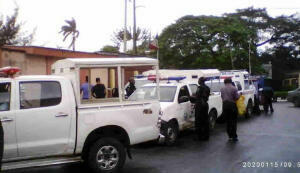 The students initially plan to hold the protest at the Gani Fawehinmi Freedom Park in Ojota before police came in. Most of these students are tired of staying at home since the strike began on the 2nd of July, 2013. Nigerians do bad things here in the US for they are on the news nightly, i want to know if it is the same do black Americans come there and commit crimes, i have no way of knowing if you don’t tell me. I have met many Nigerians at the university and they all seem very nice and polite to me, i can’t understand why Nigerians living here give their own continent and people such bad names. including the US, there are guns here, killing people with guns here, but we are not fleeing our country, so what is it that make nigerians leave and not go back. bad reply, try to enlighten me, not condemn me. As a black American i would love to see your beautiful continent because the people I met are kind. On Sunday night as victims’ bodies were being counted at Westgate Shopping mall in Nairobi Kenya, anti-terrorism police claims they believed a 29-year-old muslim convert was the brain behind the attack. Samantha Lewthwaite widely called White Widow may be the person behind the gruesome attack on civilians at the aforementioned shopping mall. She converted to Islam few years ago. vivid security camera photo obtained from the mall also revealed her face. 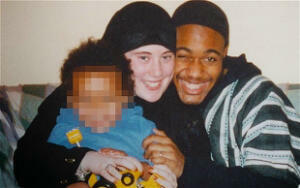 Samantha Lewthwaite, the daughter of a former British soldier grew up as a normal teenager in Aylesbury before meeting Jermaine Lindsay, a British Muslim, in an online chat room when she was 17. The pair married three years later and views these awful killings as a cause for jubilation. As a young woman, she converted to Islam and married a man who was one of the suicide bombers in London on 7/7. Samantha rapidly became a key suspect behind the group that carried out the attack this weekend. When her husband was named as one of four suicide bombers who blew up Tube trains and a bus in 2005, killing 52 people,Lewthwaite initially condemned her late husband’s attack and denied any knowledge of his plan. Samantha Lewthwaite is the widow of Germaine Maurice Lindsay, also known as Abdullah Shaheed Jamal who was one of the four homegrown Islamist terrorists who detonated bombs on three trains on the London Underground and one bus in central On July 7 2005. The attack killed 56 people including the suicide bombers. An Hausa man is currently cooling off at Keffi Medium Prison in Abuja after he allegedly slapped Assistant Superintendent of Police Jeremiah Okporo. According to the abused officer who was sent to settle a quarrel between Tunawa and a man named Fidelis Eke, he got a dirty slap after the suspect resisted his arrest. Police prosecutor, Inspector Phillip Akogwu told the court that the case was reported to Karu Police station by Fidelis Eke on Wednesday Sept 18, 2013. Presiding judge, Alhaji Umar Kagarko, ordered that Tunawa be remanded in Keffi Medium Prison till 13 November. The offence he said contravened sections 327, 172, and 267 of the Penal Code. 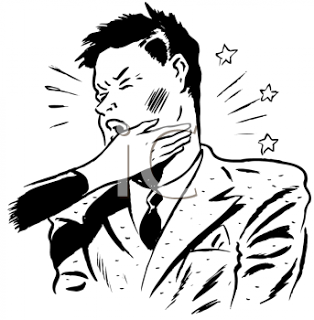 The Aboki said he’s not guilty of the offence because he acted in self-defense. A traditional ruler in Edo State’s Udo town has been freed from the kidnappers‘ den. The Iyase of Udo town, Chief Patrick Igbinudu got his freedom yesterday at Uwelu, in Egor LGA of the state after paying 10 million ransom. 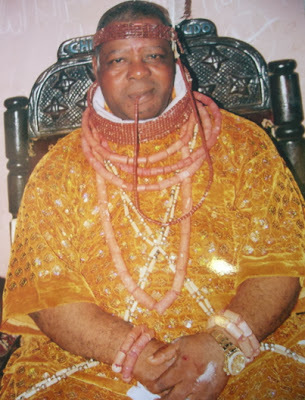 Udo residents claim the traditional ruler is looking very tired and haggard. He was kidnapped last week Thursday at his palace by some masked gunmen. We welcome back our very kind and well-loved Chief Iyase. We thank God that you returned home safely. The turn out of the whole community to receive you shows you how well you are loved by the people in the community. I pray that them Nigerian government will live up to its responsibility of providing jobs to the youths or improving the standard of education by making it functional and people are able to create jobs for themselves when they graduate. Like that,the phenomenon called Kidnapping will be wiped out. For the youths who kidnap our poor and struggling parents and traditional rulers extorting money from them, sit and ruminate in your mind if that is fair. Where have our values gone? Let’s try to find other means of livelihood that will give us dignity and make our children and siblings proud of us in the future. 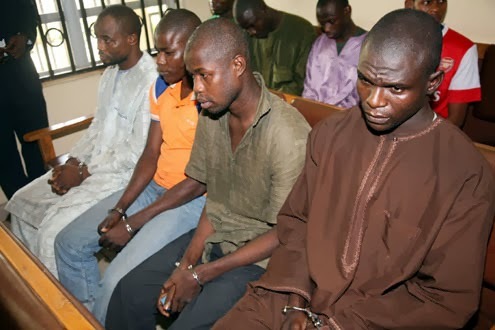 Operatives from Nigeria’s Department of State Security Services,(SSS) said they have arrested 12 suspected members of the Islamic sect, Boko Haram, during an operation behind Apo Legislative Quarters in Abuja early on Friday morning. In a statement by the Deputy Director, Public Relations, DSS,Marilyn Ogar, the agency said the operation “was sequel to information obtained from two (2) Boko Haram elements Kamal Abdullahi and Mohammed Adamu, who had earlier been arrested for terrorist activities. They led the security team to uncompleted buildings where arms were purported to have been buried underground”. response from the security team. As a result, some persons were injured and twelve (12) others have been arrested in connection with the incident, and are making useful statements”. She was however silent on the number of people that died during its confrontation with the alleged Boko Haram suspects. of those killed were seen lying on the ground during a visit to the area early this morning. The DSS however said “Normalcy has returned to the area. Members of the public are advised to go about their normal businesses, as appropriate security measures have been placed to ensure the safety of citizens in the FCT”. It therefore “reiterated the need for all Nigerians to be vigilant of their immediate environment and promptly report suspicious activities to security agencies. Our National security must remain the collective responsibility of all Nigerians”. A resident of the area said they began to hear gunshots around 00:30am. The shootings continue for several hours Altine Daniel, Public Relations officer of Federal Capital Territory Police Command had earlier told P.M. NEWS that the Police were yet to ascertain the actual number of people killed in the grisly incident. “The exact number I can’t give you now but we have commenced our investigation,” said Daniel. There were also speculations that the owner of the property made up of two buildings of six rooms each has severally warned the squatters to vacate the building in the past few days. The last known attack by the sect in Abuja was in November last year, when gunmen stormed a special anti-robbery police barracks, freeing 30 prisoners and killing two police officers. That attack was claimed by Ansaru, a Boko Haram offshoot. By far the most high-profile attack in the capital was in August 2011, when a suicide car bomb tore through the U.N. building,killing 24 people and gaining Boko Haram international notoriety. In April last year, a suicide car bomb struck the Abuja office of newspaper This Day, killing two people. The bulk of Islamist attacks occur in the remote northeast, where Boko Haram had its first major uprising in 2009. Few hours after she threatens to kill herself if President Jonathan wins re-election in 2015, the daughter of former governor of Oyo State, Kemi Omololu Olunloyo has closed down her Facebook account. According to her, 115 Nigerians want her dead. 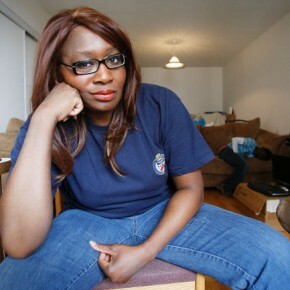 Kemi said she’ll rather close her popular Facebook page instead of killing herself. “115 Nigerians wished me Suicide!It was as joke that our people play with such a thing when I cracked a joke that I will commit Suicide if Jonathan wins 2015. Not only did they not look at the bigger pic that he will win b4 I kill myself, they all had different ways for me to do it and wished it so bad. As at the time of our check this morning, Kemi Olunloyo has deleted her popular Madam Governor fan page located at https://www.facebook.com/MadamGovernor. Why play with something you don’t want in the first place. Hollywood actress Kerry Washington who married Nigerian footballer Nnamdi Asomugha in Idaho on June 24, 2013 has earned a new title. The 36-year-old actress has emerged World’s Best Dressed Woman for 2013. According to People Magazine, Kerry Washington’s sense of dressing is far above that of popular style icons like Solange Knowles, Jessica Chastain and others. Nnamdi must be really proud of his wife’s achievement. The President of Nigerians detainee in Harmoundsworth immigration detention centre in London. whatsoever. People with valid student visa coming to study in the UK for the first time have been arrested and deported without any reason and with the good help of the Nigerian high commission staff who now used that an opportunity by collecting £500.00 on each person for deportation from the u.k border agencies to enable them facilitate removal to Lagos Nigeria by the charterer flight. It has now become so worst that the Nigerian high commission can even issue T.C (Travelling Certificate) to Nigerians,Ghanaians, and Ivorians immigrant. will say it to our face that Nigerian high commission are so friendly. We shall be very grateful if this should be call to a stop and save us from the head of the evil people, we are dying in this unlawful detention whereby the court are not public court and nobody is giving fair trial, no justice. We are all surprise that the United Kingdom that preach human right are now the very country violating the law of the United Nations. The fact remains that we’re being targeted by the UK border agencies just because we are Nigerians and what’s happening here right now is nothing but new modern slavery and over 5,000 Nigerians are in various detention centres in the UK. These people have been detained unlawfully without bail, people are forced to sign document to be deported. I stop so far.God bless the Federal republic of Nigeria. Urgent please. The Islamist insurgents also burnt scores of homes and buildings in the late Tuesday attack in the town of Benisheik. They set up checkpoints and gunned down motorists who tried to flee, according to multiple witness accounts. “Eighty-seven bodies were recovered in the bush and our people are still searching for more,” Saidu Yakubu of the Environmental Protection Agency in northeastern Borno state told journalists. He briefed reporters who accompanied Borno’s Governor Kashim Shettima to the scene of the massacre. Details of the attack in the town which has been previously been targeted by Boko Haram first emerged Wednesday. The phone network in Borno has been down since the middle of May when Nigeria imposed a state of emergency across much of the northeast amid a military offensive aimed at crushing Boko Haram’s four-year insurgency. 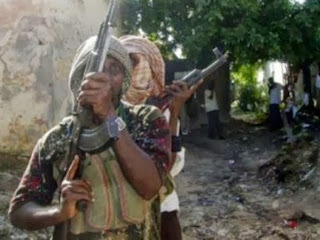 In another development, Unknown gunmen in army uniform struck in Gudu District of Abuja on Friday and killed eight people. 15 others were also reportedly injured in the attack. The invasion by the gunmen, who purportedly dressed in Nigeria Army camouflage, has created panic in the Federal Capital Territory. Residents of the area panic when it was apparent that the attack took place behind the Apo Legislative Quarters, which houses many Senators and members of the House of Representatives. Eyewitnesses said the incident occurred occurred around 3.00am in an uncompleted building owned by an army general. 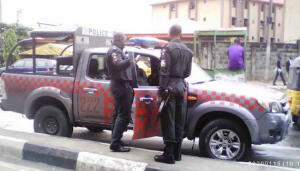 According to eyewitnesses, the gunmen overwhelmed Sabo Barkin Zuwo Street at about 12am. Army General could not be ascertain as at the time of this report. Meanwhile the scene of the incident has been condoned off by the men of State Security Service (SSS), soldiers and police. The police public relations officer in Abuja, DSP Altine Daniel,told SaharaReporters confirmed the shooting but said they have no further information information about those responsible for the killings, stating that investigations has begun on the matter. Soldiers, policemen, operatives of the State Security Service (SSS) and rescue agencies had been drafted to the scene as at press time. Juliet Robert of Africa, actress Genevieve Nnaji has just revealed her first summer look to fans. The mother of one took to her Instagram page recently to share the above photo of her elegant self walking out and about on a bright summer day. This looks like an area in Toronto. 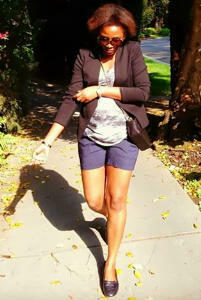 What is your take on Genevieve Nnaji’s summer look? Eze was paraded alongside six fake corps members who he has mobilized for service in different parts of Nigeria. to be a graduate from the university. Oluchukwu Acho (Microbiolgy) N70, 000 Blessing Ozoemene (Microbiology) N70, 000 and Amara Azuma (Biochemistry) N70, 000. Eze subsequently spread his tentacles by working with another forger, Abdulwasiu Ogunjimi, to forge certificates and facilitate the mobilization of other fake corpers for the NYSC programme in various parts of the country. Those include; Joy Samuel ( Serving in Ogun State), Nworgu Pauline (Serving in Rivers),Christianah Ezeyi Chinedu (serving in Ogun), Okoro Amarachukwu (serving in Benue), Adobi Chindo (arrested with a forged certificate of Manonmanian Sundaranar University,India ). Also paraded today was Ababakar Sani, who was caught impersonating an Army General with one Hamza Abubakar,who was said to have planning to kidnap a daughter of the late President Umaru Musa Yara’dua according to the Deputy Director of the service, Marilyn Ogar. The SSS spokesperson said all the suspects would soon be charged to court.